Land Rovers "Alaska" & "Hercules"
bad low octane petrol, it won't overheat, and it's reliable. 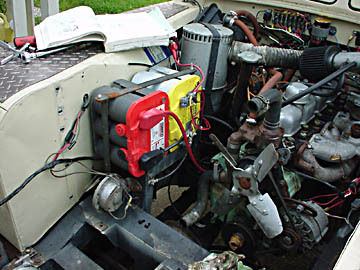 And we can (gulp) fix most things might go wrong so it's the perfect low-tech choice to power our expedition. 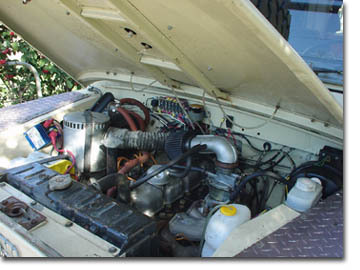 standard item to later Series 109 and Defender Land Rovers. We have retrofitted our Dormobiles with Salisburys so we won't have to fix broken axles or carry spares. 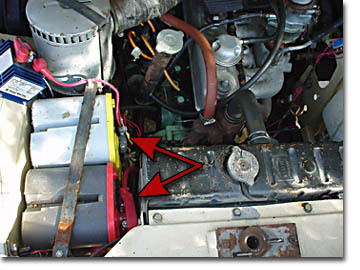 fully charged for it's primary purpose "starting" the Land Rover. 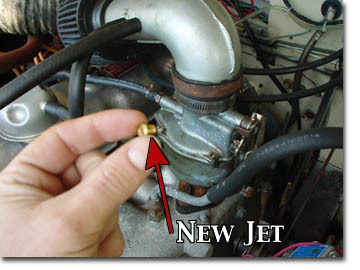 works well in dusty environments with one small drawback; it constricts air flow to the carburetor, especially at high altitude where the air is very thin. Since we will be driving on the highest road in the world we brought along a couple K&N air filters for maximum air flow to the carb and better performance up high. As it turned out, this was a very good idea. because it offers our 2.25 liter power plant a bit more power. Plus there are a large selection of jets to choose from for high altitude running and re-jetting is as simple as four screws.